欣欣民宿 Xin Xin ‘minsu’ was highly recommended by a friend who had stayed there during her visit some years back. If you were to search online for reviews on Xin Xin ‘minsu’, you would most likely come across both positive and negative comments. We did take the negative comments into consideration, but in the end we decided to stay there anyway as it suited our needs and the pros outweighed the cons (for our case). 1. We couldn’t have asked for a better location. 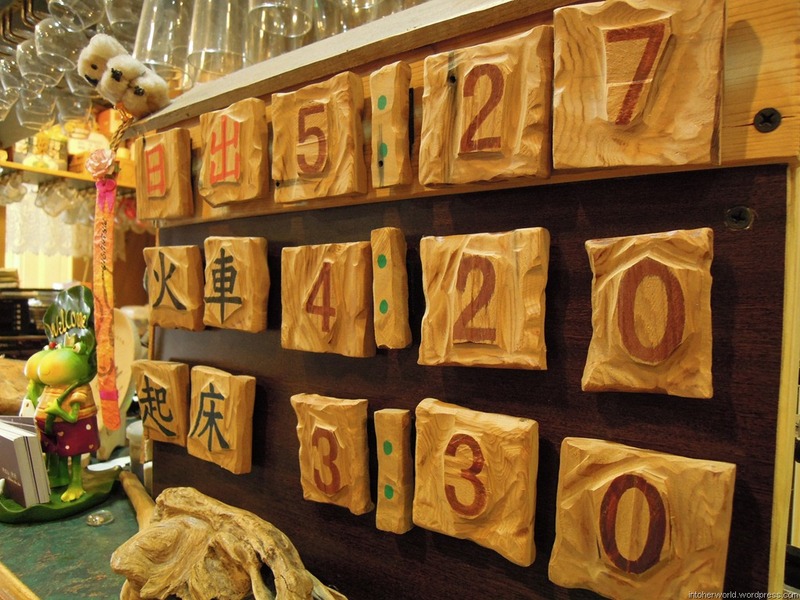 Xin Xin ‘minsu’ is located near the main parking area – the drop-off point for public buses. It is right next to 7-Eleven (you can easily settle all your meals here if you’re not very fussy about food) and there are shops and restaurants nearby too. The visitors’ centre and Alishan shuttle bus stand are just opposite the ‘minsu’. 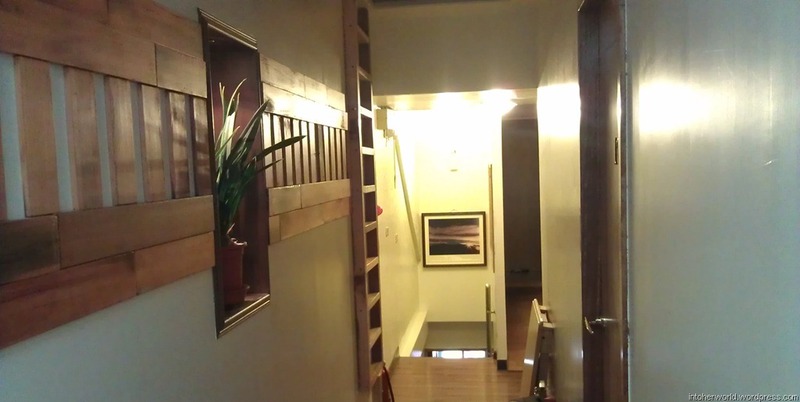 The best part is that you can walk to Alishan train station in less than 10 minutes (just go up one flight of stairs). *This photo was taken while standing outside the Visitors’ Centre. 2. The room rate is reasonable. We booked online and made the payment through PayPal. 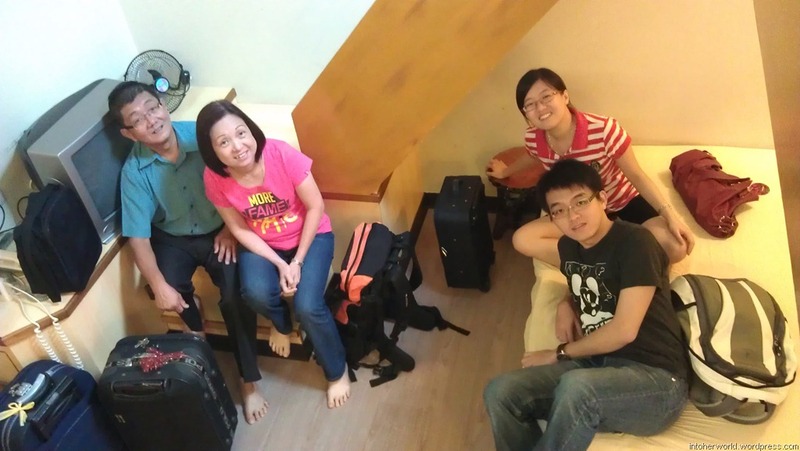 For a 6-person room, we paid around NT$3200 per night. 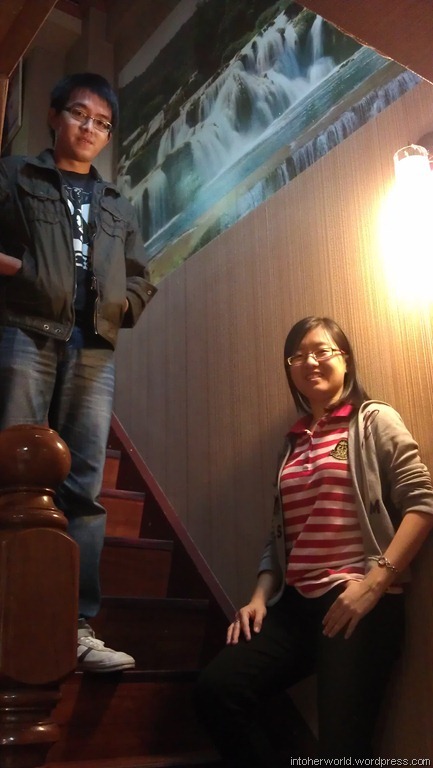 Compared to other accommodations in Alishan, Xin Xin ‘minsu’ is relatively more economical. 3. We loved the room, which was clean and comfortable. 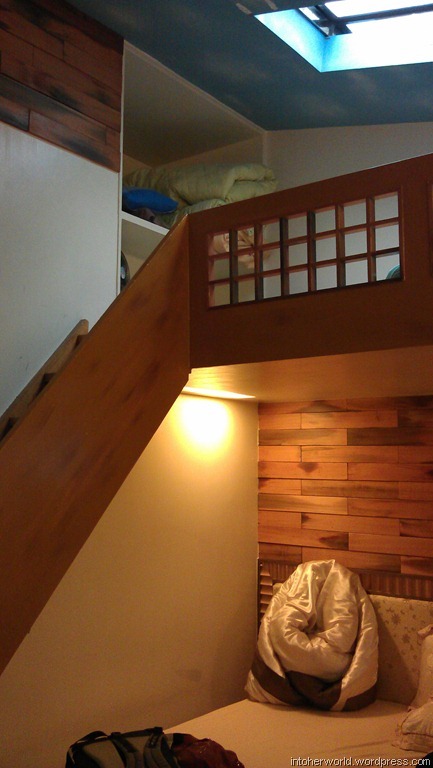 We were especially fascinated by the “roof window” and built-in double-deck bed. 4. The ‘minsu’ owner and family members who help to run the ‘minsu’ are very warm and hospitable. The owner, who used to be the village chief, came to greet us and showed us the way to the ‘minsu’ the moment we disembarked from the bus. We were also given a map and a detailed introduction to Alishan Forest Recreation Area after we checked in. They even provided sweaters and umbrellas for guests! 1. 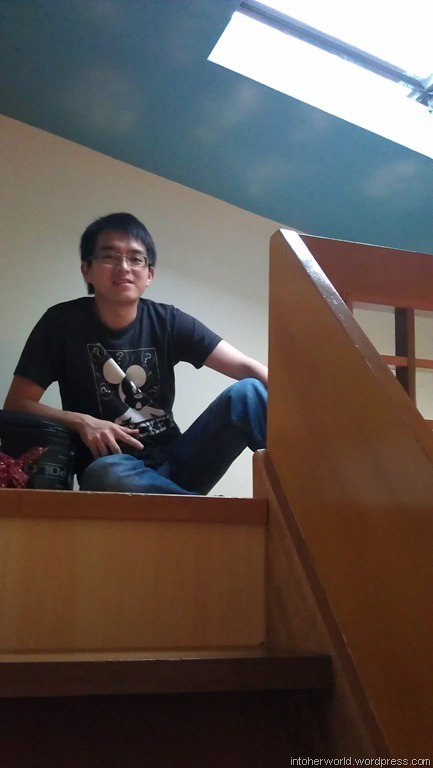 The stairs are very steep and narrow. It was a hassle having to carry our luggage up and down the stairs. 3. Wi-fi was not available in our room. We had to go to the lobby to go online. 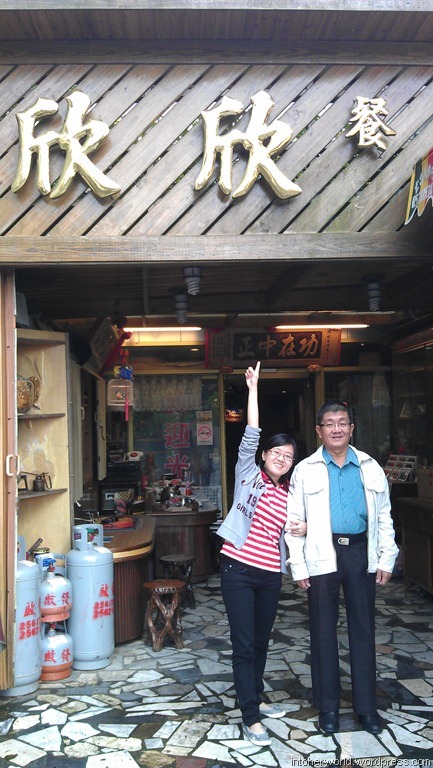 This entry was posted in Taiwan, Travel and tagged Alishan, Taiwan, xin xin minsu. Bookmark the permalink. Thanks Cheryl for the interesting write-up with so much relevant details for prospective visitors to Taiwan. I’m thinking of taking a vacation next month and am wondering how far away is Fengchihu station from Alishan station? I plan to take the train from Chiayi station to Fengchihu. Hi, Can i ask how to book the XinXin Minshu at Alisan? I want to go to alishan on nov 2014. Glad i find your blog about taiwan. May I know your route while you were in alishan. I mean, after you check in in minsu, where did you go around alishan? 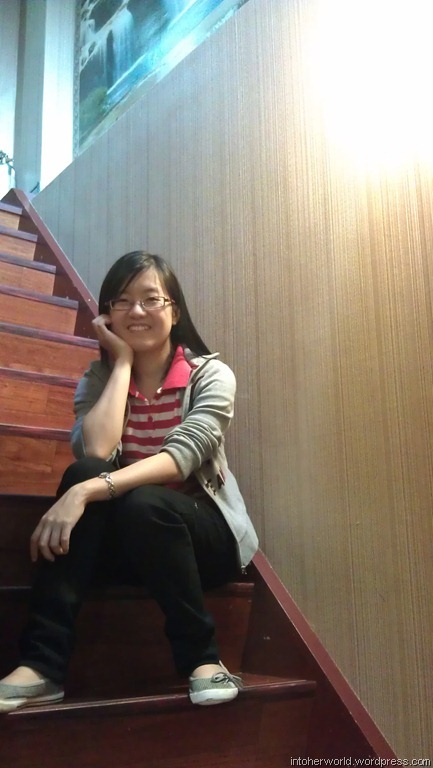 Probably i can follow your route, since i dont have any idea what places should i visit at alishan….. I need your reply please :-)))…… Many many thanks. 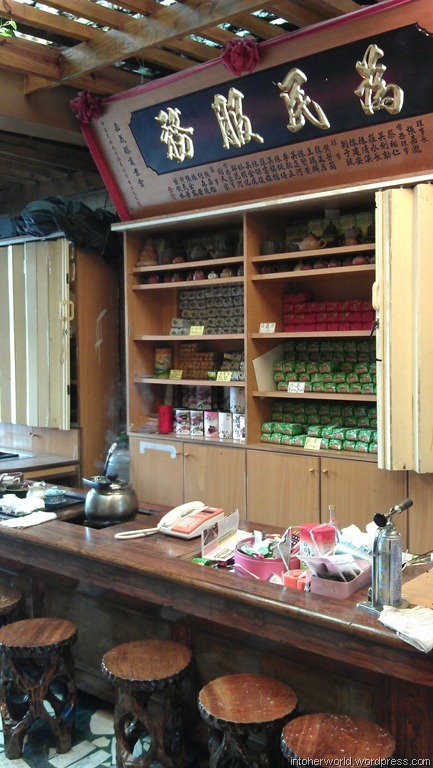 You can check out these two posts on what we saw and did in Alishan….